Fun fact about yours truly: I am not a crafty person. In fact, throughout much of my life, I’ve pretty much equated anything “crafty” with Dante’s 9th circle. Friendship bracelets were fiendish. Decoupage was the devil. Sewing was satanic. Because of my lack of skill, I developed a fear of all things crafty. I was deeply intimidated by anything artistic and avoided any such activities. Then my great grandmother, the crafting queen, passed away unexpectedly. And, in an effort to honor her memory, I took a deep breath and gave crafting a second chance. Since then, I’ve come to enjoy crafting – however feeble my attempts. Like yoga, I feel as though it’s more about the process than any perceived perfection. Still, I like to do a good job whenever I work on something – especially when that something involves my teenagers, who are both crafting junkies and gurus. So imagine my relief when I stumbled upon instructables.com. If you haven’t visited yet, I highly recommend it. From furniture made out of shipping pallets to robots and jewelry making, instructables features step-by-step guides on how to make anything you could imagine. 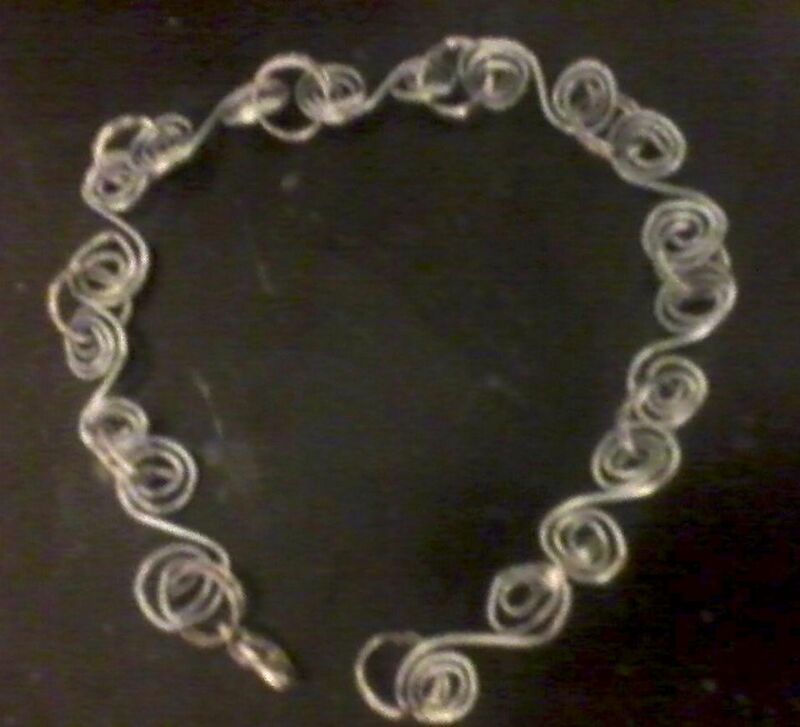 I recently stumbled upon a craft there I absolutely loved: a bracelet made of paperclips. Yes. Paperclips. I was skeptical at first, but decided to give it a go. So I grabbed my needle nose pliers, some jump rings, and a clasp. And I have to say, for an uncrafty person, I think I did a pretty good job. Better yet: my teens and tweens are super excited about this craft. 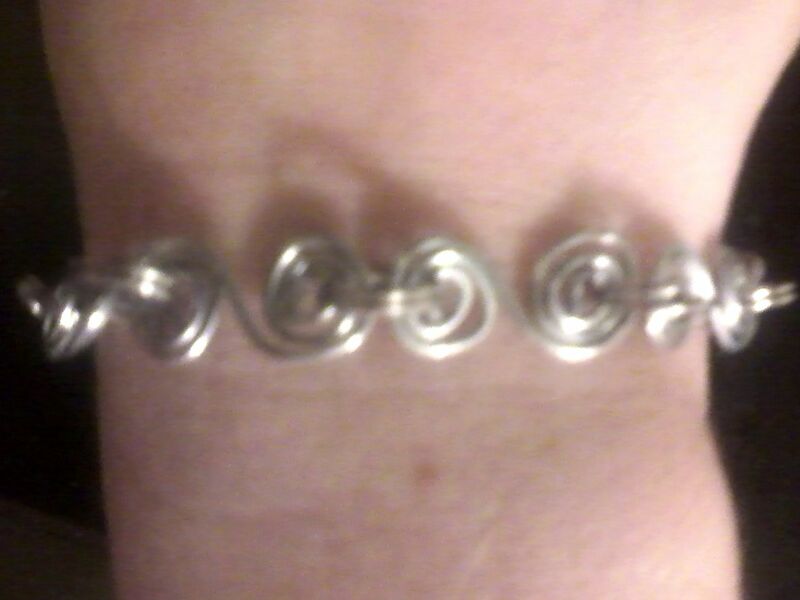 I’ve been using my bracelet as a marketing tool and a hook to draw them in. Me: (displaying my bracelet-clad wrist) So how’d you like to learn how to make this? It’s made from paperclips. Teen: That is so cool! Paperclips! Sérieusement! That IS cool. Seriously! My teens are in love. I’m hoping we’ll have a good turnout. Wow! I love that! What a great way to draw in teens. Thanks! It really is pretty easy to do – even if you’re “uncrafty” like me!